This week at PopMatters I recount the tale of the wandering Nintendo console. It all started last weekend when I loaded up my Wii U for a little trip to Jorge’s house. 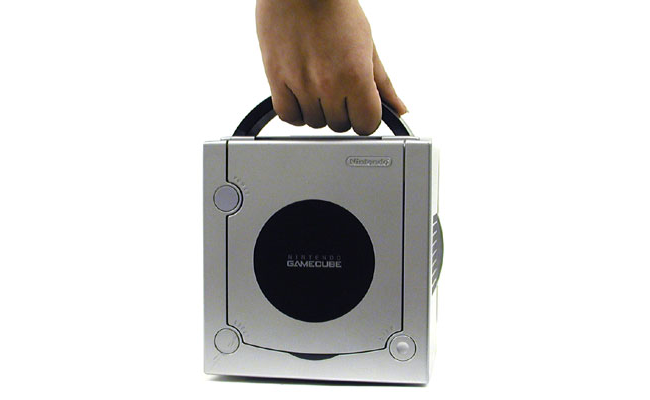 On a semi-related side note: Nintendo has been good about maintaining support for all their Wii-era peripherals. Wii Remotes, Wii Motion Plus dongles, nunchuks, classic controllers, classic controller pros, the balance board and who knows what else I’m forgetting have just accumulated in my house. Packing them all up in a bag created a rat’s nest of plastic shells and tangled wires that only became more knotted after throwing the various power and a/v cords into the mix. It’s been a long time since the days of a power cord and an RF switch. In any case, it got me thinking about how I had done pretty much the same thing with all previous Nintendo machines. Hardware novelty and software that rewards being in the same room with other players has always inspired a certain amount of mobility. A lot of it seems to revolve around unique control gimmicks or peripherals. Experiencing things like the Zapper or Wii Remote in person tend to awaken an evangelical spirit. I don’t think this experience is as strong with the Wii U, largely because the Wii U Gamepad isn’t as novel as the Wii Remote was. Lots of people have tablets, and frankly the iPad is a better second screen than the Gamepad for most games. We’ll see what Nintendo does next, but for now I think the current “seeing is believing” technology is VR. It’s a more exclusive club, but the people have have Oculus development kits seem to gladly shuttle them around to work parties and social gatherings in same way professional Wii Bowlers did back in ’06. In many ways it’s the ultimate quasi-console experience: VR headsets aren’t yet meant to be used on the train, but they’re small enough to make the trip to a party and sit on a table for soon-to-be converts to test. We’ll see if Nintendo ever ventures into this market. Or, more accurately, whether they venture back into this market (R.I.P. Virtual Boy). Whatever happens, I have a feeling it won’t be the last Nintendo console that takes an occasional vacation from it’s home on my TV stand.